The End of Antibiotics as an Acne Treatment? 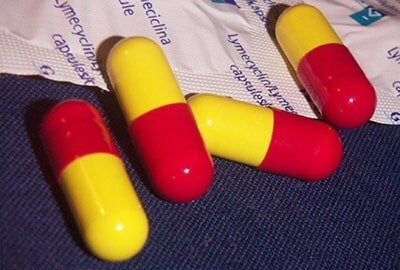 Home » Articles about our Treatments » The End of Antibiotics as an Acne Treatment? 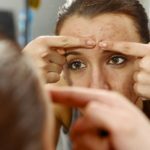 A story recently published in the Wall Street Journal has some important news for those suffering from acne: Some effective acne treatments may not be effective much longer. Oral antibiotics were once one of the most successful treatments for acne. This is a worrying trend for doctors, who were noted in the article as seeing poor results from multiple patients. The low chance of success has many doctors are beginning to question whether antibiotics are wasted on moderate or acne severe cases. The problem has become so serious, the article notes, that doctors are beginning to turn to experimental treatments and treatments used for other kinds of skin disorders. Fortunately, this has turned up some very interesting new opportunities for treatment. The article explores many new treatments that are currently being used by doctors. Some of them are classic remedies that are picking up steam again, and others are focused on how the newest skincare tech can treat conditions that it wasn’t specifically designed to treat. Dietary restriction is one of the treatments being adopted in response to poor antibiotic performance. These treatments are recommended with the hope that some of the causes of acne will be reduced or eliminated. At the same time however, doctors readily admit that a dietary changes will improve acne only for few. Most people will still need more focused medical treatments. Some of the options being explored in the article include chemical peels and topical treatments. The topical treatments target mild cases, and are noted as being effective for those. More powerful topical treatments exist, including ones that utilize different antibiotics than the oral variety. Chemical peels have long been recognized as a great option for facial rejuvenation. This treatment is already successful at removing some very mild damage from acne. 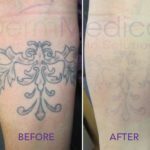 Laser and light treatments are often associated with the cutting edge of dermatological research, and for good reason. Laser technology is being used to treat a wider and wider variety of skin disorders, with shockingly effective results. The ways that lasers can treat acne have not been fully explored. It’s already well-established that lasers are excellent for treating scars, but doctors are trying to learn more about how it could be used for the prevention or suppression of flare-ups. One effective treatment may be on the way out the door, but many others are stepping up to fill the gap. We’re particularly excited about the possibilities of expanding the use of lasers to cover acne treatments. Please come in for a visit if you’re concerned about acne problems. We’d be happy to help you explore all the options that are available.